The Summer holidays are flying by. We've had a week off packing and instead made the most of having time off, even if it did decide to rain for half of it. Trips to the library, baking, crafting and sleepovers. Take a look at this weeks project 365 round up. 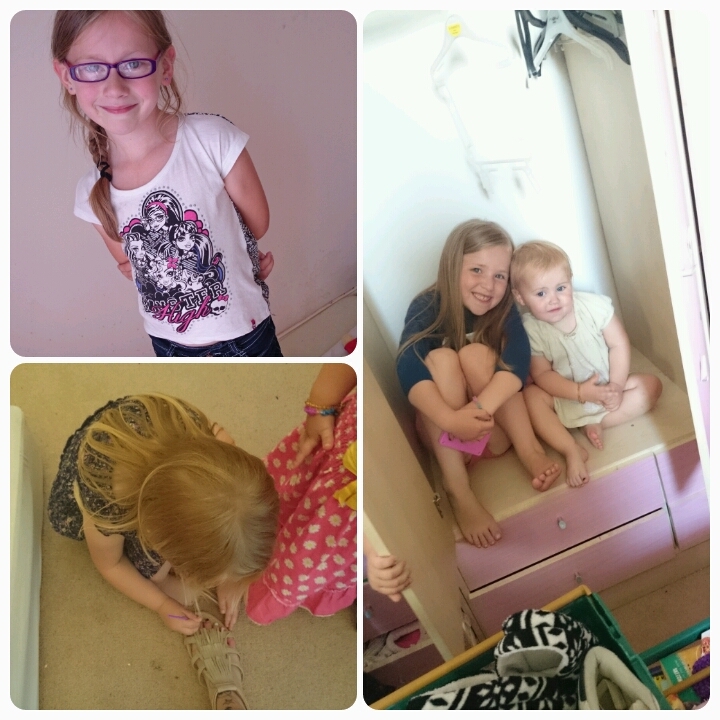 Elise was showing off her new top, Gracie was pretending to paint my nails and Freya and Layla managed to find yet another hiding place. 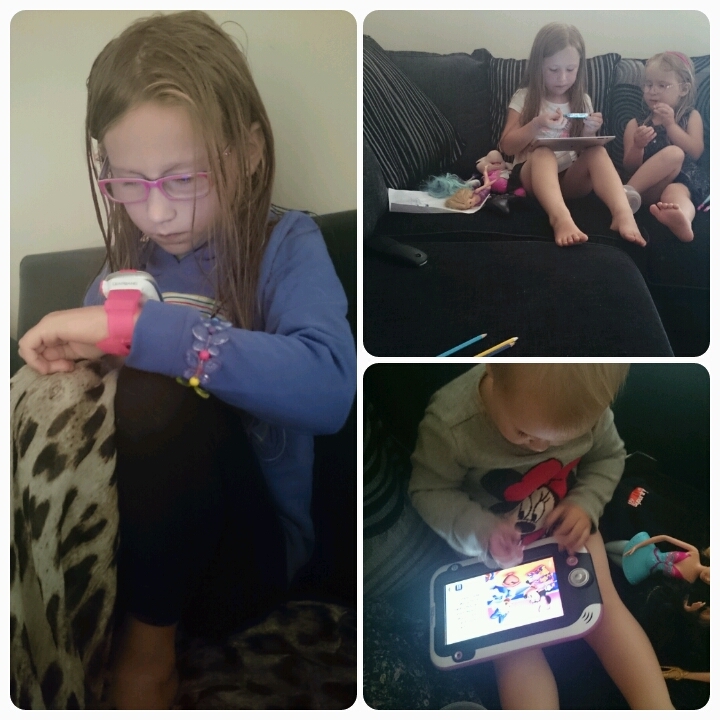 It was raining heavily and the girls were getting a bit stir crazy, technology stepped in to entertain them. 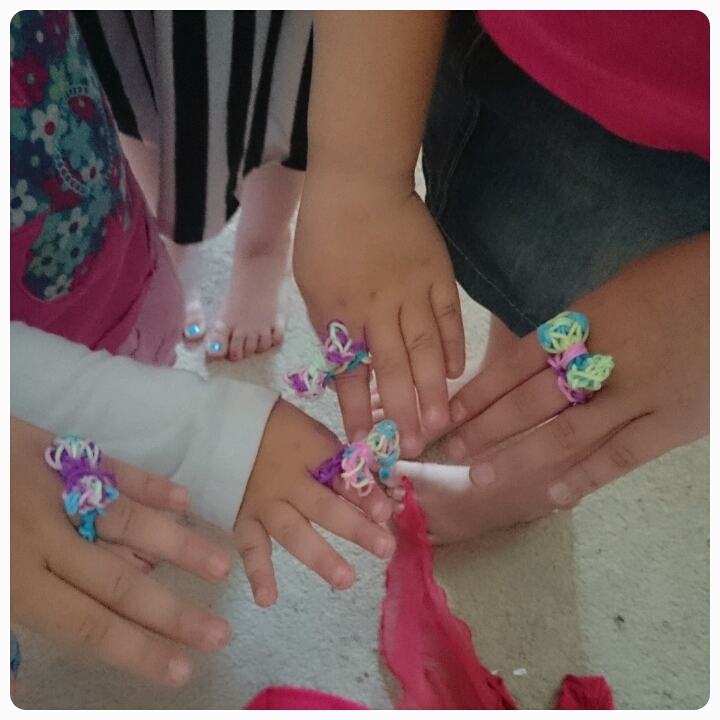 I've been busy making the girls rings out of loom bands. 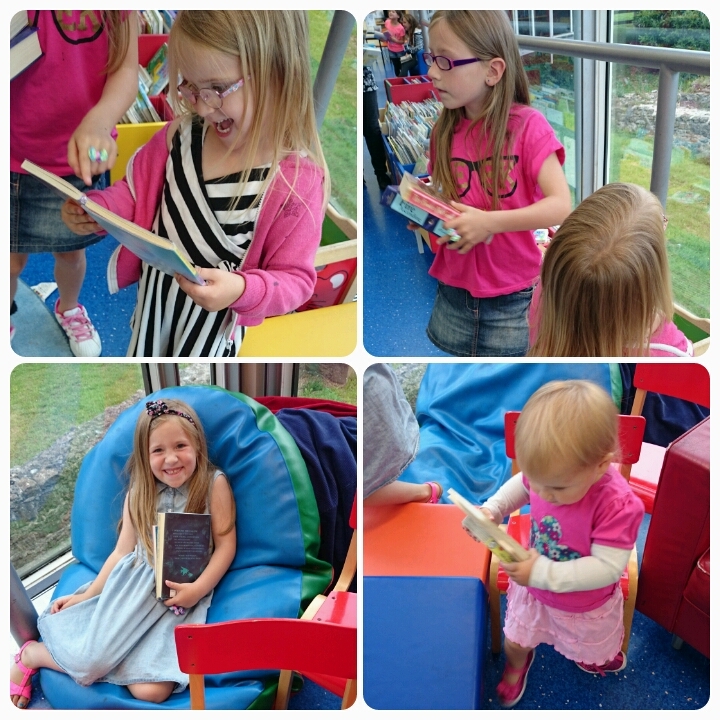 We decided to take a trip to the library seen as we have packed up a lot of their books ready for moving. 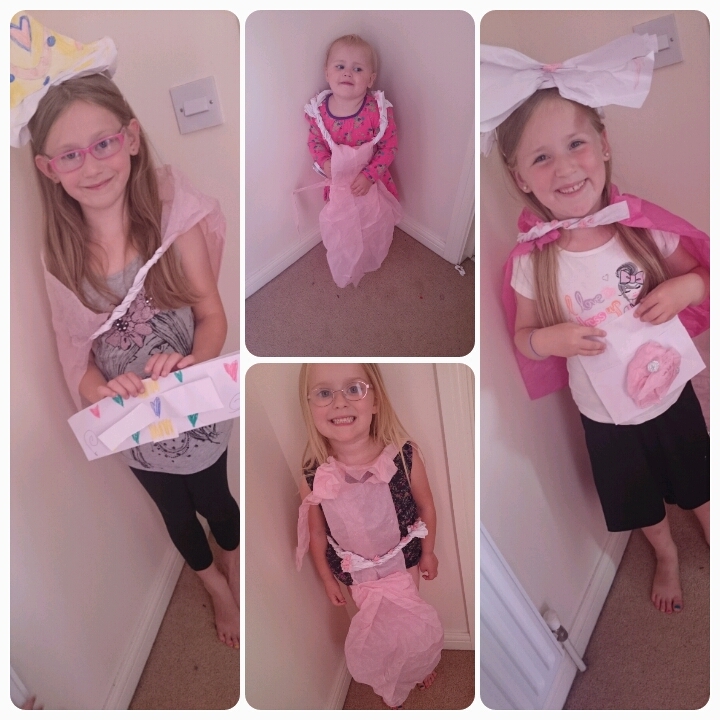 I have some little fashion designers in the making, amazing what you can make with some tissue paper and some glue. Freya had one of her friends round and, we decided to do a spot baking to keep them entertained. Looks like you all had a fun busy week. 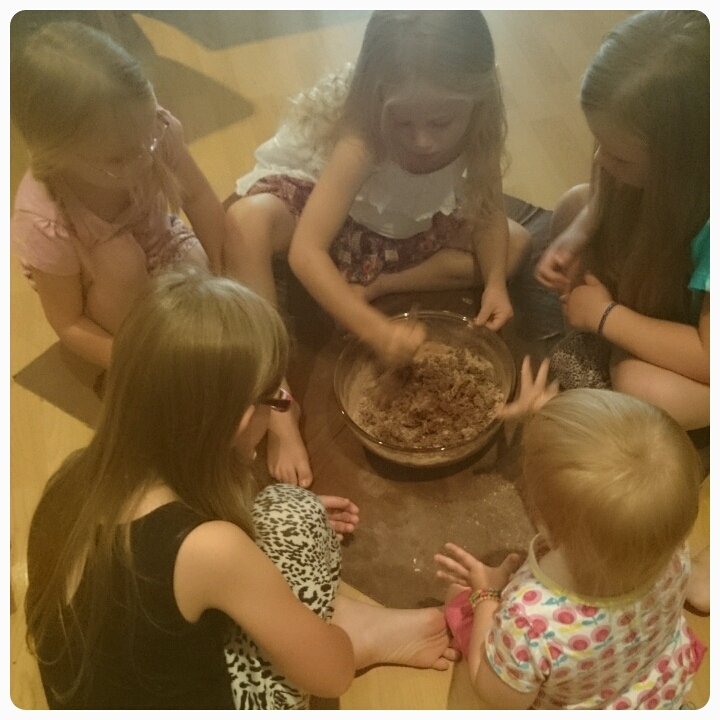 We've done lots of baking too this week with some disastrous results! Hehe love the budding make up artists....so are they allowed to do yours when you go out now? Love the tissue paper creations and the library photos are cute. 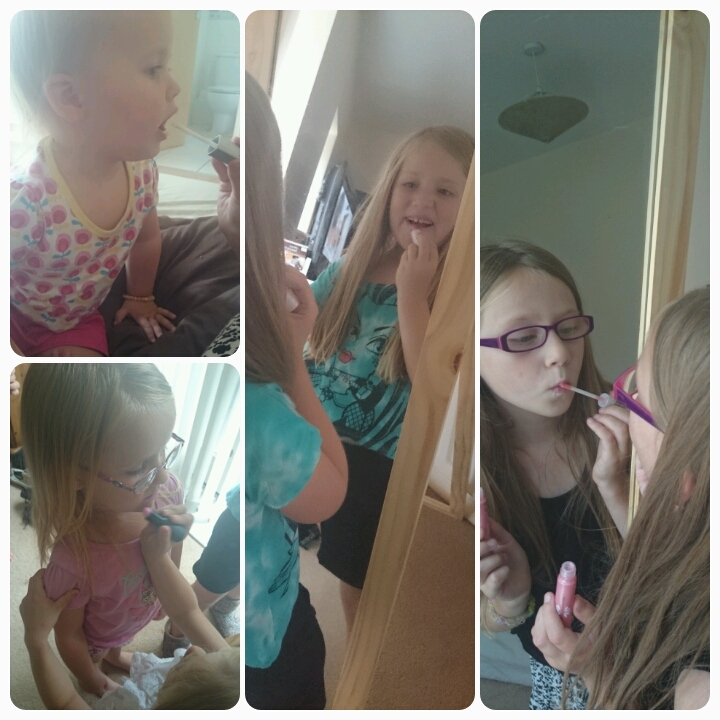 Love the make-up photos, they look so intent on perfecting it all.